Quilting is Fun! Just ask the millions of women who love to quilt. To help you with your passion, we carry thousands of bolts of only the finest quality fabrics from all the best manufacturers. 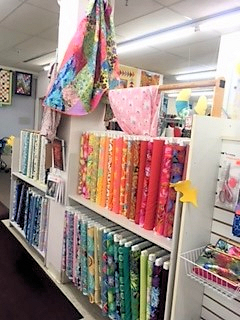 Fun novelty prints, beautiful florals, hand dyed Bali batiks, colorful brights,Cotton & Steel by RJR, Kaffe Fassett, Holiday Prints, Blenders, warm flannels and lots, lots more! 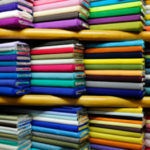 We have new fabrics arriving all the time so our inventory is constantly changing. 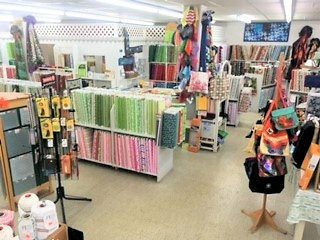 Along with our huge assortment of fabrics we carry all the latest patterns, batting and supplies. We carry the latest books for the beginner to the advanced quilter, with new books arriving bi-monthly. New to quilting? 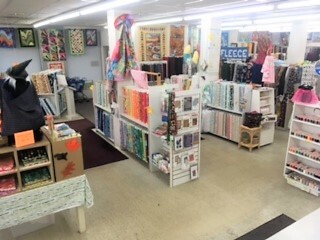 Be sure to ask one of our knowledgeable sales associates to help with any quilting related project or question. We’re here to help you with your new found hobby. 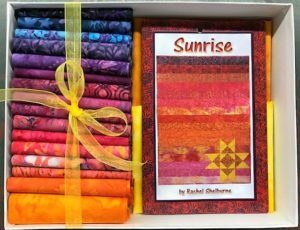 This Sunrise Quilt class was so popular that we put together a kit with the pattern and fabrics to complete the face of the quilt.